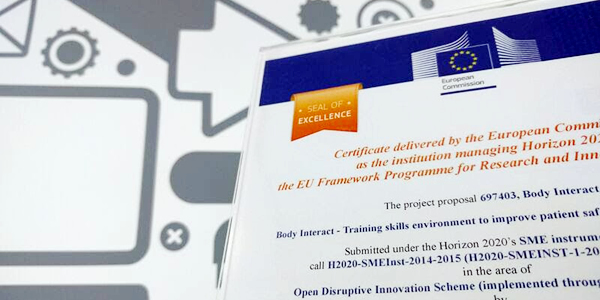 Body Interact Team is very proud and happy to announce that our product has just been certified with the Seal of Excellence from the European Commission. Therefore, Body Interact has been officially recognized as a Training skills environment to improve patient safety and medical education. In addition, our project was also considered successful in a highly competitive evaluation process as an innovative project.